Rain, rain....lots of rain coming down here in California. It has been a loooong time since we have had such a rainy February! The rain is welcome due to the long drought that has had some lasting effects on our beautiful state. It's a nice change to see vibrant green hills in our valley...I feel like I've moved to New Zealand, except no one has the great accent! 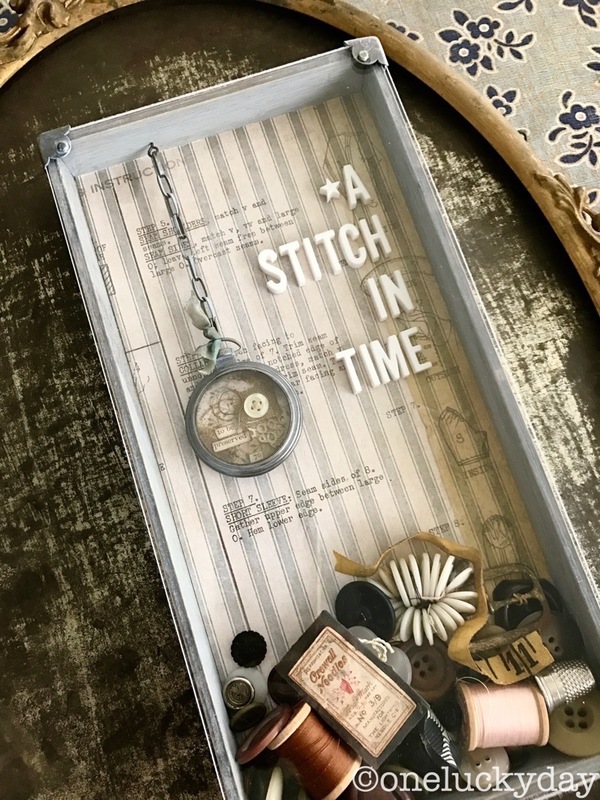 I am sharing an easy project today made from a new Vignette Tray. This is a large tray (6 x 12") that has been painted with Weathered Wood Distress Paint to match the Memoranda Paper that was used in the background. What's unique about the tray is that I used a piece of plexiglass to cover the front, thereby enclosing it. I found there are many places on Ebay that have pre-cut pieces of 1/8" thick plexi and one of them was exactly the size of the tray. So for about $1.50 + shipping I was able to get a precut piece and I didn't even have to leave my house except to walk to the mailbox. I started with the Typography letters since that would determine the spacing for the Pocket Watch to hang. There are 73 pieces in the pack including multiple vowels (plus numbers and stars). I can't even tell you how much I love this alphabet! 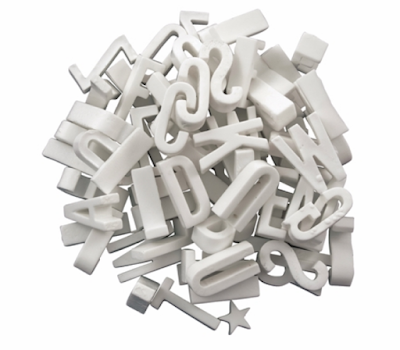 They look just like chalk letters that were used in old signs, but these don't break! The letters were added to the tray with Collage Medium. I'm going to tell you that stuff is like cement once it's dry! I tried to remove one after the glue had dried (on another piece I was making) and it would not budge! I created the Pocket Watch using scraps of fabric, a vintage button, string and a tatting. The words and number came from the the Clippings Sticker sheet. 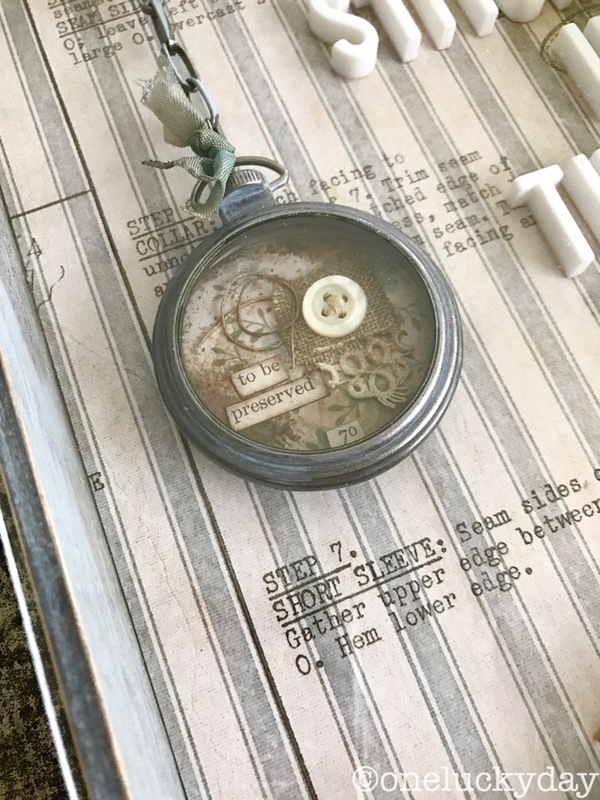 I used an idea-ology Eye Screw and chain to hang the Pocket Watch. I did secure the watch with a foam square. 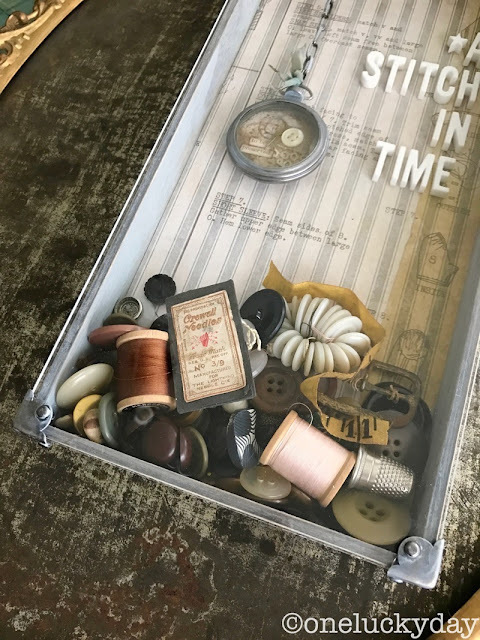 Once I was ready to close up the box, I filled it with all kinds of sewing junk: buttons, thimble, sewing needles, thread...really anything I could think of that related to sewing. The Box Corners had been prepared the day before by rubbing Weathered Wood Distress Paint over the metal and letting it dry. Once the paint was dry, I added the brads (also painted) and glued them in place with Collage Medium on the underside. Then I let them dry overnight. The finished Box Corners were added to the Tray with E6000. Hope you like today's "plexi" project. I've got one more to share with you next week...so hold that thought. Thank you so much for posting this! I love it! My mom is a seamstress and I think I need to make a version for her. Love all the little details, that watch is amazing! this is so lovely I just gotta make one for myself! This is wonderful!!! I love all of the detail. I definitely want to create one of these for my mom. I just knew this was your brilliant piece when I saw a glimpse of it during one of Tim's show videos. It's such a great example for demonstrating how versatile these boxes can be. 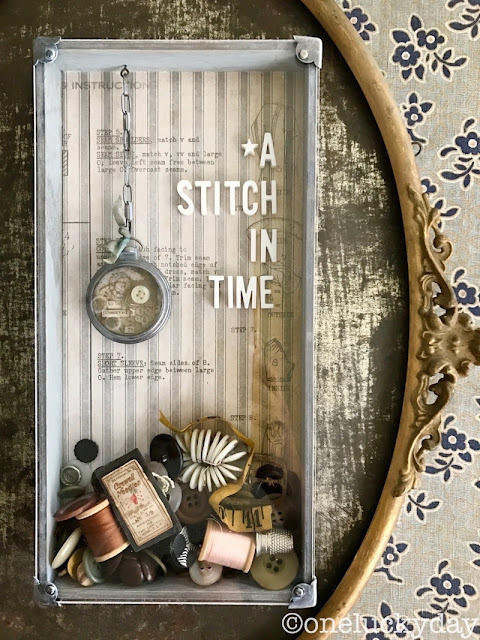 It reminds me of my great aunt's collection of sewing bits--where snaps, buckles, buttons, etc., were removed from old clothing and tucked away with the hope they could be reused again on something new. Your creation invokes a wonderful sense of nostalgia! love all the bits in this!! and the plexiglass idea..must search for some! 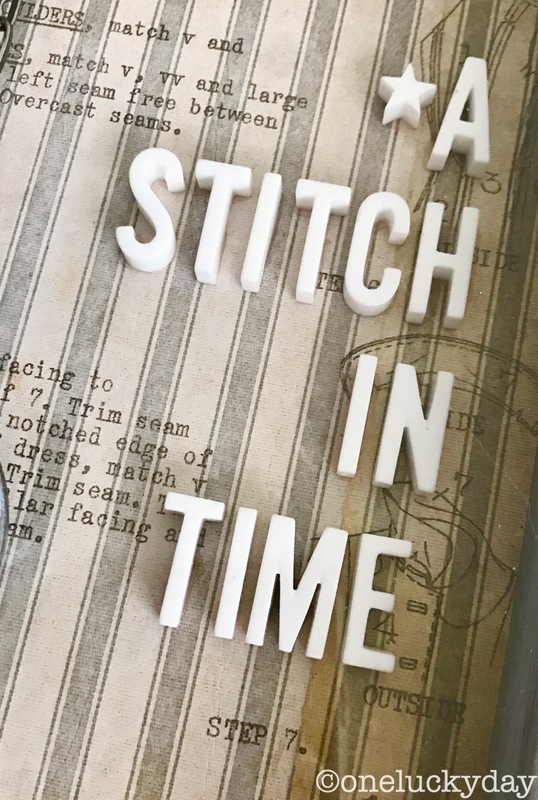 That is SEW cool Paula! This is such a wonderful project! Love the sewing theme-spoken from a collector of vintage sewing stuff.